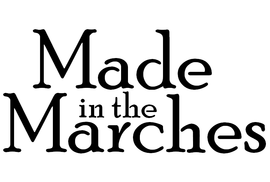 Made in the Marches is a venue to celebrate and showcase the work of both established and emerging artists and makers, living and creating in the Marches of Herefordshire, Shropshire and Powys. Themed and seasonal exhibitions offer a diverse and changing collection of art and craft, reflecting the talent and essence of the region. Herefordshire between England and Wales. In 2019 the second Marches Makers Festival is being held on the Spring Bank Holiday Saturday 4 to Monday 6 May and our Gallery will be featuring a number of artists' works. More information will be posted here and on our Facebook and Instagram pages. took over ​the gallery window displays! showcased one or two of our artist's works.